It's the time of year for saying "thank you", so I've made a start on some cards: tartan-start-of-the-year-Hogmanay inspired ones, put together with scraps from other projects. The deer head, cut with the Slice machine, was an experiment for a layout - and it was only when I stuck it on with that Studio Calico (going back a bit) stamp that I saw how the two together have a "your country needs you" recruitment poster look. Maybe? Just a little bit? I've only done the two so far and that isn't going to cut it for "thank you" here this year. Better keep Slicing..
You have such a knack for adding little bits here and there. I especially love the tiny hand stitches. They add just the right touch. Ahh Sian, you have the most creative cards and the best props for displaying them! :) Happy Sunday! Not only beautifully made but beautifully displayed too! thank-YOU for such s visual treat so early in the year :). These look great - I really like that Thank You stamp. I had some old Christmas cards from a few year ago that I re-purposed as thank you cards this year - a little decluttering kind of! Very cool! I really like the second one in particular. I'm thinking of trying to make a card a week this year, as my card making has fallen by the wayside. And I do miss it as a quick artistic outlet. 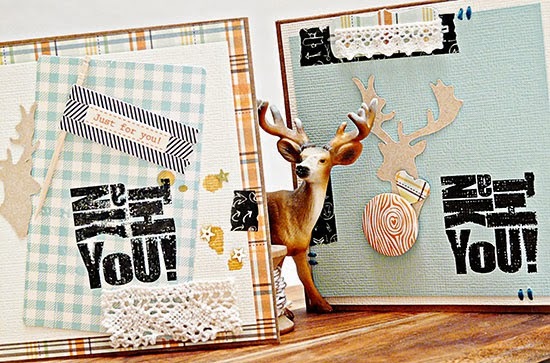 cute cards and a great way to use up those scrappy left overs! Oh these cards are beautiful! 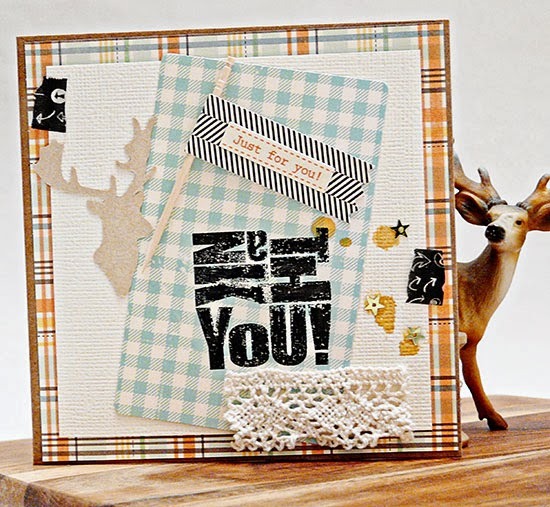 Love that deer head and the "thank you" stamp is great! A super start to the cards, I love the stitched touches. You have reminded me to get on with mine! Happy New Year! I like that stamp and yes it does remind me of the emphatic recruitment poster. Love them! ...I have made a couple of cards tonight, but they are't as detailed as yours! 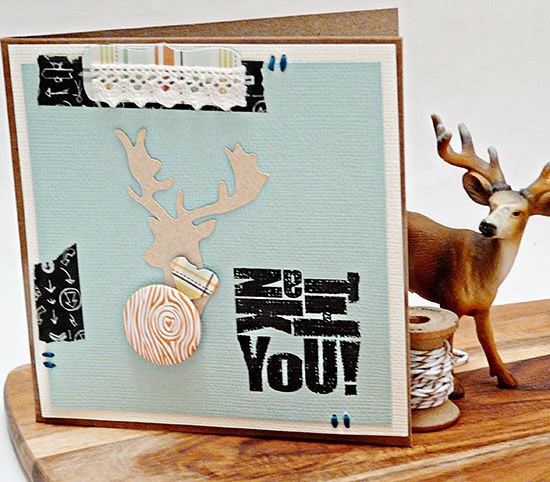 I'm not a cardmaker, so I am totally impressed by those of you who engage in this craft. I've been gifted with a couple of handcrafted cards--trust me when I say they are precious because I appreciate the time, care, and creativity they represent. Oooh I like him! Such a marvellous silhouette they make. They both look great Sian. I love how you displayed them and yes it does remind me of a recruitment poster in a way.